Yan Levionnois obtained the first prize at the André Navarra and In Memoriam Rostropovitch international competitions, and was awarded two special prizes at the last Rostropovitch Competition, including that for the most remarkable personality. He is the Adami 2013 classical revelation, and the prize winner of the Banque Populaire and Safran Foundations. He has given solo performances with the London Philharmonic Orchestra, the Sinfonia Varsovia, the Orchestre National de France and the Orchestre National du Capitole de Toulouse under conductors such as Daniele Gatti, Dimitry Sitkovetsky, Jacek Kaspszyk, Jean-Jacques Kantorow, Heinrich Schiff and Arie Van Beek. His first solo cd, “Cello Solo”, was released in February 2013 for Fondamenta, and obtained the prestigious ffff of Télérama magazine. His discography also includes a recording of Rachmaninov's second Elegiac Trio with Renaud Capuçon and Denis Kozhukhin, in the “Martha Argerich and Friends” festival, for EMI classics, as well as “Pierrots Lunaires”, a violin and cello duets cd with violinist Mélanie Clapiès, released in 2014 for Fondamenta. He has many chamber music partners, notably Renaud and Gautier Capuçon, Augustin Dumay, David Grimal, Antoine Tamestit, Gérard Caussé, Nicholas Angelich, Frank Braley, Brigitte Engerer, David Guerrier, Emmanuel Pahud, Richard Galliano and the Ebène Quartet. An ardent defender of the music of his time, he has worked with composers such as Kryštof Mařatka, Jonathan Harvey, Richard Dubugnon, Martin Bresnick, and Eric Tanguy. Passionate about Arthur Rimbaud’s poetry, he created Illuminations, a music and poetry show, in which he is both cellist and narrator. 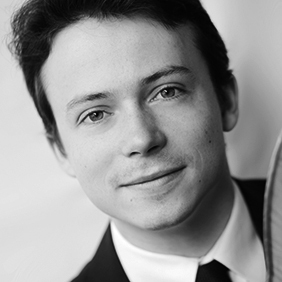 Yan Levionnois began studying the cello with his father before continuing in Paris with Marc Coppey and Philippe Muller, Oslo with Truls Mørk, and New York with Timothy Eddy. He also attended master-classes with Gary Hoffman, Heinrich Schiff, Natalia Gutman, Frans Helmerson, Steven Isserlis, and Natalia Shakhovskaïa. He plays a cello made for him by Patrick Robin in 2005.